After delays in finding a suitor to take over from Cash Paymaster Services, the government entity is expected to sign a contract in the next seven days. 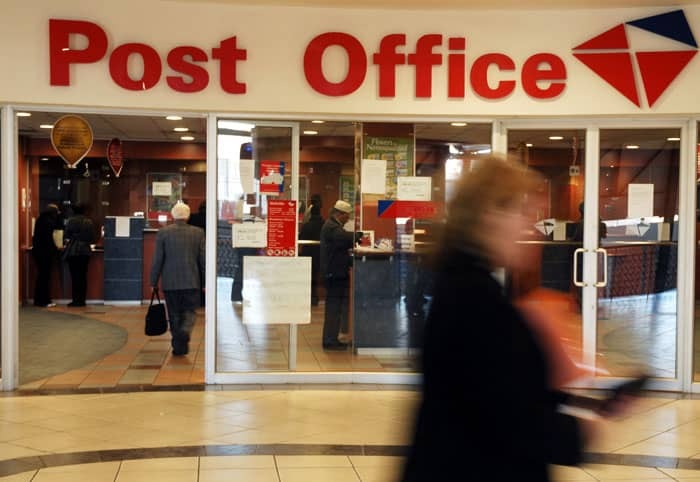 If the embattled South Africa Social Security Agency (Sassa) makes good on its promise, the South African Post Office will be contracted to takeover social grant payments from incumbent Cash Paymaster Services (CPS) in the next seven days. Sassa told Parliament’s Standing Committee on Public Accounts (Scopa) that the Post Office would be contracted to distribute social grants by September 13, according to Scopa chairperson Themba Godi. Sassa was hauled before Scopa on Tuesday night to give an update to parliamentary members on the process and timeline to phase out CPS’ contract, in line with the Constitutional Court’s order. By end of March 2018, Sassa would have to terminate its contract with CPS and have an alternative way to distribute social grants. It appears that by April 1 2018, the Post Office would be responsible for distributing social grants to more than ten million beneficiaries. Godi said the Post Office was supposed to be contracted by August 31, “but there were delays in technical evaluations and due diligence processes”. Although the Post Office, led by CEO Mark Barnes, is being punted as the next pay master, Godi said it’s not clear whether Sassa intends giving the state-owned entity the entire contract or a portion of it. Barnes was not available to comment at the time of publishing. The type of contract to be awarded to the Post Office will be made clear when its technical systems are evaluated for readiness in the coming weeks. Barnes has expressed interest in the Post Office taking over the social grant system, which he believes would be a cost effective measure for the fiscus. The Post Office has over 2 000 outlets across the country and operates Post Bank, which has 5.8 million clients with savings accounts. Although the Post Office has not signed a contract with Sassa, it has an agreement to collaborate with the agency in finding a solution after CPS is phased out. This agreement was supported by the National Treasury. The agreement emerged after former Sassa CEO Thokozani Magwaza was fired by Social Development Minister Bathabile Dlamini in July. Days before Magwaza left Sassa, he sent a formal letter to Barnes detailing the agreement between Sassa and the Post Office. The Post Office is seen as an interim solution as the long term plan is for Sassa to takeover the grant system instead of outsourcing this responsibility. Sassa officials have estimated that it would cost R6 billion and five years for the agency to takeover social grant payments. He believes that the Post Office would be the best option to pay social grants as it’s a government institution and the personal data of grant recipients “would be in safer hands”. CPS has been accused by civil rights group The Black Sash of using the personal and confidential information of grant recipients to cross-sell financial services products such as funeral policies, prepaid airtime, and electricity. This information is at CPS’ disposal by virtue of it being responsible for grant payments.